Unlike residential furniture, commercial furniture is made to specification based on the clients’ needs and as a result, typically takes 6-8 weeks to be manufactured. In addition, shipping as well as scheduling the delivery and installation can also take a couple of weeks from the time the furniture is completed. Another factor to consider is the design time it takes one of our interior designers to help pick the furniture that best fits your needs. All of this to say, if you are planning to have new furniture installed this summer, be sure to fill out your Design Request Form today! 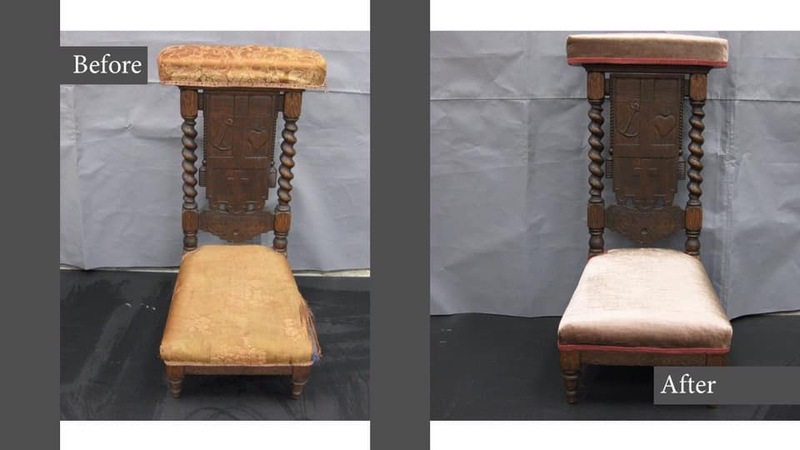 The UA Upholstery Department was recently charged with restoring some furniture from the Amelia Gorgas Collection. Outstanding work from Susan, Stephanie and Brian to return the sofa and kneeling bench from the 1840’s to their original glory. Be sure to stop by the Gorgas House Museum to see these incredible pieces. What can the UA Upholstery Shop do for you? 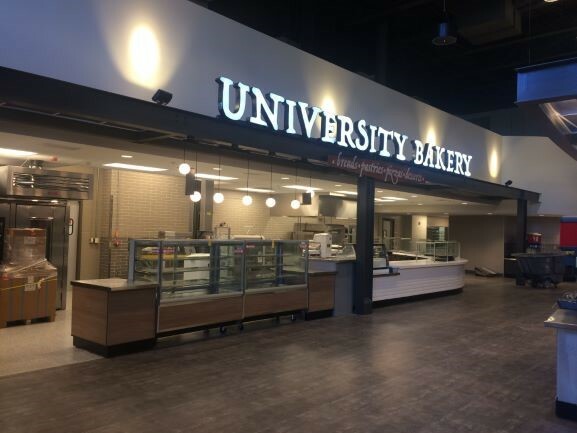 The University Services Campus has been rapidly developing over the past couple of years, which we are excited to have been and continue to be a part of. Looking back on 2018, there have been several departments that have joined in occupying this area. 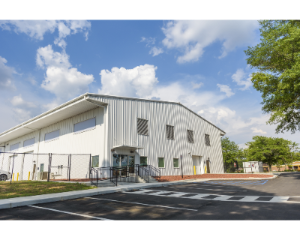 Earlier in the year, Automotive Services relocated to their new, larger facility. The new garage provides more space for automotive repairs, as well as its own customer service area that used to live in the center of the shop. Over the summer, the Human Resources Administration Building and Employee Resource Center moved into their permanent homes at the center of the Services Campus. The Administration Building consists of departments like Payroll and Benefits, while the Resource Center hosts trainings for campus employees that fall under Learning and Development. Toward the end of the year, OIT Operations completed their move from main campus. As we approach the new year, there are more exciting moves and developments underway. In March, Environmental Health and Safety is slated to move into their new space at Cottage 7 next to OIT. 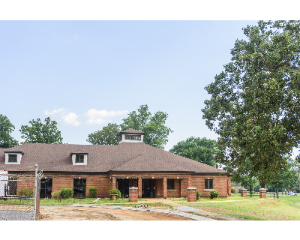 Closer to the summer, Cottage 3 will be occupied by the final departments of Procurement Services to move to the Services Campus. Contract Administration, Furnishings and Design, and the Upholstery Shop will all be under one roof. This is the first time that F&D and the Upholstery Shop have ever been in the same building. 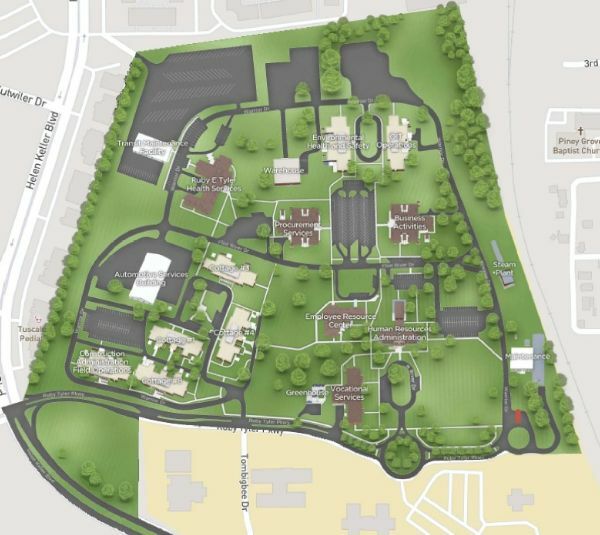 Cottages 1 and 4 are still in the planning phases for the University Architects and Construction Administration to complete the campus. 2018 was a great year and 2019 is going to bring even more life to the University Services Campus. Furnishings and Design has been busy this year with over 400 projects across campus, ranging from small renovations to multi-million-dollar capital projects. 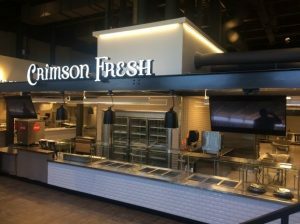 One we are particularly proud of is the Lakeside Dining Hall renovation. Lakeside was closed from the last half of the spring semester through the summer to undergo a major interior facelift to accommodate the continuously growing student population at UA, especially with the addition of Freshman Residence Hall to the North Campus residential area. All existing food stations were demolished and replaced with new serveries that offer endless combinations of fresh and healthy meal options for students. In addition to these changes, a mezzanine level was created for increased seating capability within the facility. 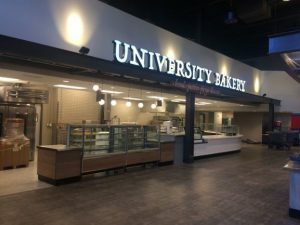 The University Bakery has been taken out of the back of the house and moved to the main floor as a prominently displayed feature of the renovation. 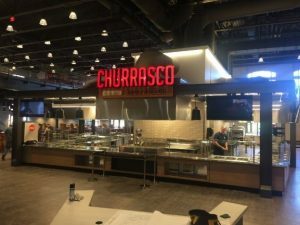 Another important staple of this project is the self-serve pantry that provides options to students with food allergies that may not be able to take part in the other serveries. 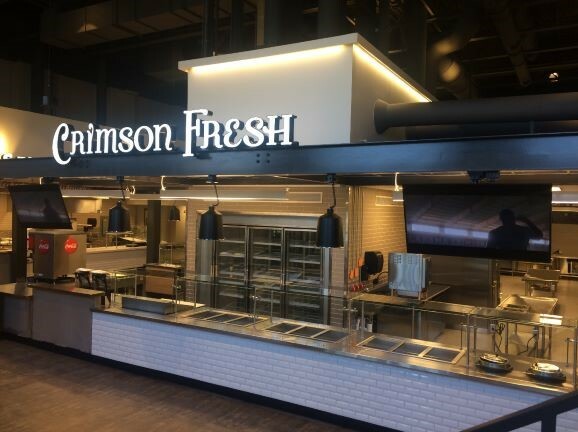 To add to the aesthetics of the building, new furnishings were also installed, continuing the crimson theme seen throughout countless buildings on campus. Our staff invested over 200 collective design hours in this renovation of Lakeside that will better serve UA for many years to come. It is hard to believe but the end of the fiscal year is quickly approaching, once again. To allow our designers and upholsterers enough time to meet the end of year demand and meet our clients’ expectations and timelines, all FY18 specific Design Request Forms (DRFs) must be submitted to the F&D office no later than August 8 to allow appropriate time to design and quote or re-upholster. Requests received after this date will run the risk of not meeting campus wide year-end dates. F&D aims to provide exceptional customer service throughout the year, and especially at year-end! Please do not hesitate to call or email if you have questions. Our main number is 8-6508 and our general email is furnishings@fa.ua.edu. 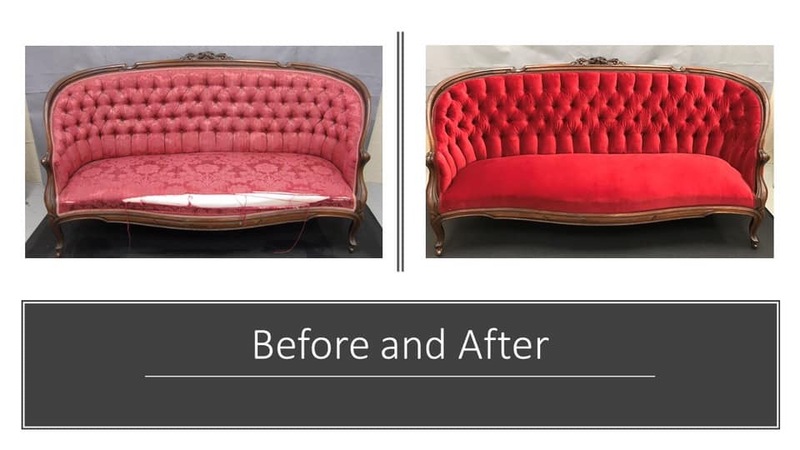 Upholstery Projects – Get a Jump on the Competition! Many of you already know what a talented upholstery team we have here at UA. From making office furniture look like new again, to replacing the ripped vinyl on your favorite piece of gym equipment, to revamping the waiting room area at the medical clinic, there’s not much here on campus that our team can’t handle. What you may not know is that as classes wind down for the summer, the demand for upholstery projects heats up. If you’ve been considering submitting an upholstery project and would like it completed this summer, the time to act is now. 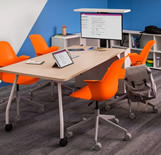 Submit a Design Request Form today and let our team help you pick that perfect pattern to help make your office furniture the envy of all your peers! What’s that? You’d love to make that outdated furniture look like new again, but it’s just not in your budget this year? Don’t despair, fill out that Design Request Form anyway and let us show you some of the many surplus fabrics we have on hand that are free to a good home. Still not sure if an upholstery project is right for you? Still not sure how the process works? Give us a call at 348-6508 and we’ll be happy to answer any questions you might have. It is that time of year again, when the weather starts getting warmer and everyone starts making plans for their summer vacations. Seasoned travelers will tell you that to maximize the fun and reduce the risk of your plans not coming together as you hoped, it is best to start planning early. The same good advice can be applied to summer office moves and furniture purchases. As the students are finishing up their finals and heading out of town for the summer, that’s when campus construction, and all the furniture purchases that go with it, hit full stride based on months of prior planning and coordination. 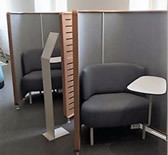 Unlike residential furniture, commercial furniture is made to specification based on the clients’ needs and as a result, typically takes 8 weeks to be manufactured. In addition, due to the high furniture volume during the summer months, scheduling the delivery and installation can also take a couple of weeks from the time the furniture is manufactured. Now factor in a couple of weeks on the front end for one of our talented interior designers to help you pick out the furniture that works best for your needs and you can see how this process can easily exceed three months. So if you are planning an office face-lift or redesign of furniture for this summer, be sure to fill out your Design Request Form before March 9, 2018 to receive priority. 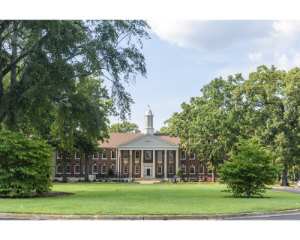 The University of Alabama’s Adapted Athletics program originated in 2003 and has since developed into one of the premier programs in the country, winning nine national championships in men’s and women’s basketball and tennis. And now, because of the extraordinary efforts on the part of UA’s faculty, staff, alumni and donors, our Adapted Athletics teams will have a first-class facility in which to showcase their talents. Furnishings and Design’s own Leah Shepherd was handpicked to be a part of this special effort and worked with the design team to make this a truly one of a kind arena. Paying special attention to the needs of the athletes, the arena minimizes transitions and doorways as well as providing spacious ramp access to the mezzanine. Additionally, the arena provides wheelchair accessible seating throughout its’ bleacher sections rather than having only one designated wheelchair accessible section. Great job Leah and great job Team UA for continuing to raise the bar in the commitment to excellence for our student population! Each year, the interior design industry holds one of the largest and most recognizable trade shows, NeoCon, at The Mart in Chicago. The Mart is 4.2 million gross square feet, spanning two city blocks and rising 25 stories. It is home to hundreds of tenants, including showrooms of furniture, flooring and fabric manufacturers. This year was no different as more than 50,000 design professionals representing over 500 design companies met to discuss current trends and review the latest in commercial furniture and products. Every summer, the Furnishings and Design department sends a group of designers to represent the University of Alabama at Neocon. The attendees this year were Mary Kathryn Holt, Simoen Warren and Sarah Lindsay Knight. The group visited showrooms specific to higher education as well as manufacturers represented on the UA System’s Furniture Contract. Visiting the showrooms gives the designers a preview of new furniture products, materials, and general design trends. Upon their return, Sarah Lindsay, Simoen and Mary Kathryn gave a comprehensive presentation to the entire Furnishings and Design staff, complete with pictures and information on the showrooms and new products being released. Striking the perfect balance between the latest in interior design and the rich traditions and standards here at UA is what makes our design staff’s talents really stand out!